It’s been ages since I last set my precious foot on this place. Haha… yup, to precious to even go anywhere. Just lay my big fat self at home. Roll around my matress, squeeze the teddy bears and pretend I am a silkworm. I am getting lazier and lazier to move around. No! This can’t happen to me. I’m still to young and too many things to see. I finally have a solid excuse to convince myself that I need to leave my dusty and messy room. Yup, it’s my sister’s birthday. How can I not show myself. I guess I will have to, or else I will be nag till death. Some might wonder, so serious? You bet, no kidding NAG TILL DEATH! Worst kind of torture god has ever created. Well, at least the nagging part does give me an impact. I need some good rest. Fresh cool air to reduce the amount of pimples on my face, the greens to relax my eyes, the mist to moisture my skin and well, the time to spend some time with my family. I packed my bag like 3 hours before the trip. Guess what, I guess I almost bring 1/4 of my stuff in room there. Had this big santa clause like bag with me. Don’t ask me what’s inside my bag, I still dan’t figure out what I stuff inside. But still with that big bag, I still manage to forget to bring stuffs. How sad.. I’m growing older and older. Too many things to write about this genting trip. I guess I will just finish the pictures montage tomorrow. 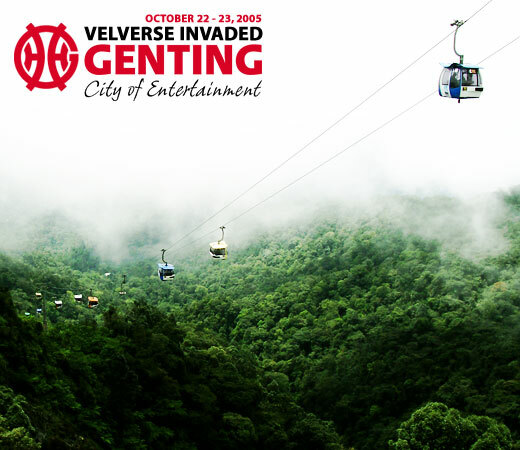 And show you guys my exciting trip to genting. ANDY! ANDY! YOU KNOW I AM YOUR FANS?